Staff - WELCOME TO LION SWIM CAMP! 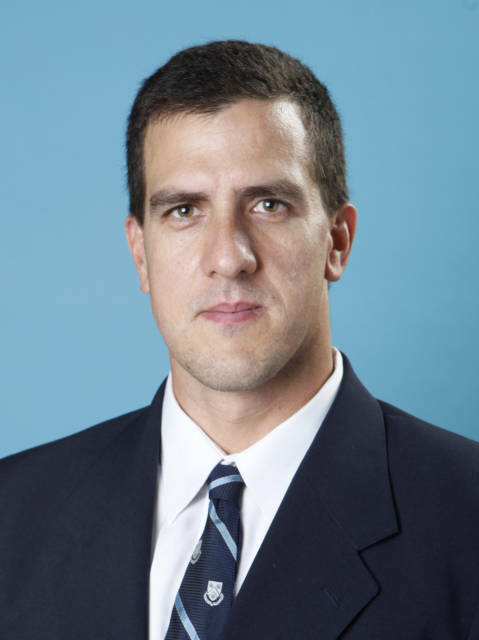 Former Saluki swimmer, Gustavo Leal is in his ninth season as an assistant coach at Columbia. Prior to working with the Columbia men’s swimming and diving teams, Leal spent seven seasons as an assistant to his former head coach, Rick Walker, at Southern Illinois University. During his first three years as an assistant coach, Leal helped SIU win an MVC title in his first year (2002), finish as runner-up in 2003, and win the first MVC Invitational title in 2004. Leal was part of the SIU men’s swimming program for almost a decade, as he began his collegiate career there as a swimmer in 1998. He was a key member of the 1999 MVC championship team, swimming on the championship 200 and 800 freestyle relay teams, earning all-MVC honors in 1999 and 2000 in both events. Leal was also named to the 1999 and 2000 MVC ScholarAthlete Team. Before coming to SiU, Leal was a two-time National Junior College Athlete Association (NJCAA) national champion at national power Indian River Community College in Fort Pierce, Florida. Leal also earned NJCAA All-American honors eight times in the 100, 200, 500 and 1650 freestyle at Indian River from 1996-98. Leal also served as an assistant coach of the Saluki Swim Club for eight years while coaching at SIU. He graduated from Southern Illinois in May of 2001, with a degree in management and marketing; he added a master’s degree in business administration in May of 2004. Leal is a native of Sao Paulo, Brazil .